﻿ What Is the Use of Black Steel Pipe? Do you know the use of black steel pipe? 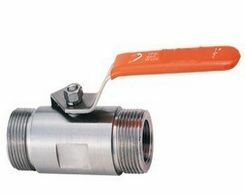 Although it is relatively more expensive as compared with its counterpart, such as PVC pipes or other plastic pipes, it is more broadly used for different purposes. PVC pipes, which are mainly used to form the water supply system for home uses, are incapable of enduring heat or sunshine. So they could only be installed in the areas where are hidden from any heat sources. In addition, they are not allowed to transfer the hot water since they would be melted by the heat. On the contrary, the black steel pipe is designed with the ability to be used for both individual and commercial purposes. These pipes could be used to carry water, oil and even hot steam. What's more, thanks to the seamless structure, the black steel pipes could be used to transfer gas for various types of industries and home uses. Of course, the expense of installation would be higher as compared with its counterpart. The black steel pipes could be used to transfer the hot water which may be even boiling from boilers. 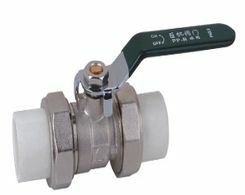 They are endowed with the ability to endure the heat, but at the same time, the users should be careful while the pipes are transferring hot liquid. The steel is well know for its excellent thermal conductivity. Thereby, the surface of the pipes would be extreme hot and users should be forbidden to touch the pipes directly. 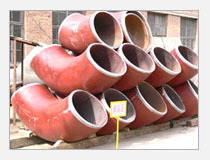 These pipes could be used for both water supply system and drain system. They could be buried underground a or placed above the earth. The thinner black steel pipes are designed with threads so you could join them together and control the length. While you need to connect the pipes with larger diameter, welding is the better way to connect them. In addition to transferring the essential material for daily life or manufacturing business, the black steel pipes could be used to protect the electrical wiring. You would need to prepare the tools such as pipe vise and cast iron fittings to complete the work. Frankly, the strength of steel pipes could insure the safety of the wires. But at the same time, you should have to work harder to work with the black steel pipes.